Life style measures include food, exercise, behavior and sleep. Ahara (food), Nidra (Sleep) and Brahmacharya popularly known as Trayupasthambha play a vital role in the management of life style disorders. 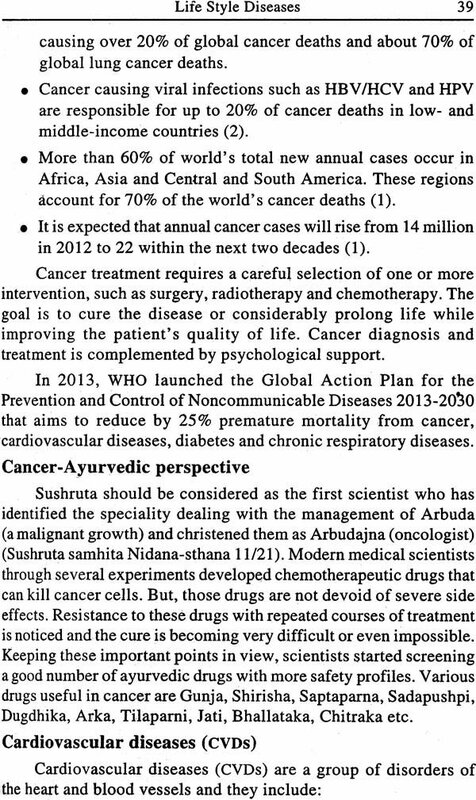 Currently the incidence of life style diseases like diabetes, Hypertension, Cardiovascular diseases, Cancer etc is increasing which are also designated as Non communicable diseases (NCD). 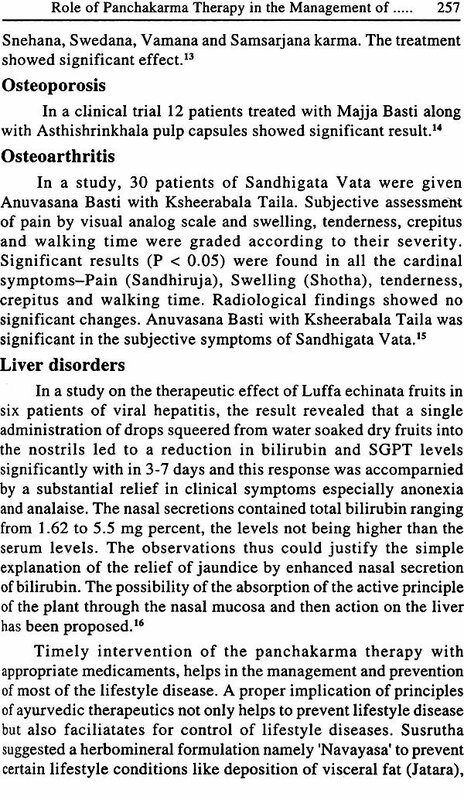 During the past few decades notable research was carried out on medicinal plants with significant activity against certain life style diseases. 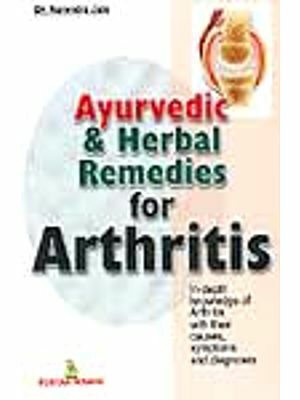 In this book a review is presented about 100 ayurvedic herbs found to be useful in the treatment of life style diseases along with photos. 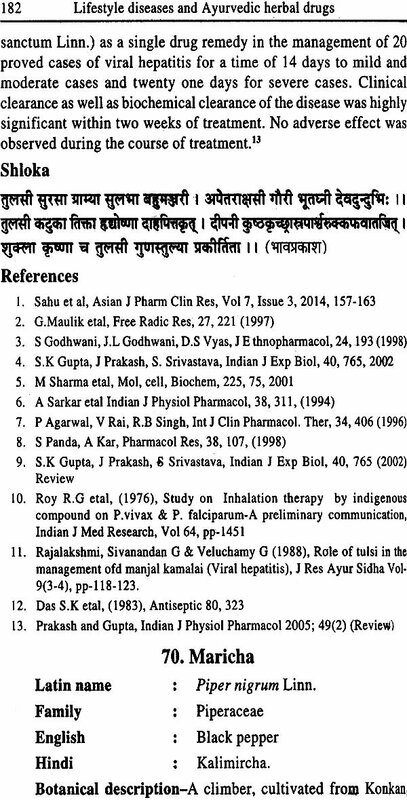 This book is useful to ayurvedic teachers, physicians and research scholars as a reference book. 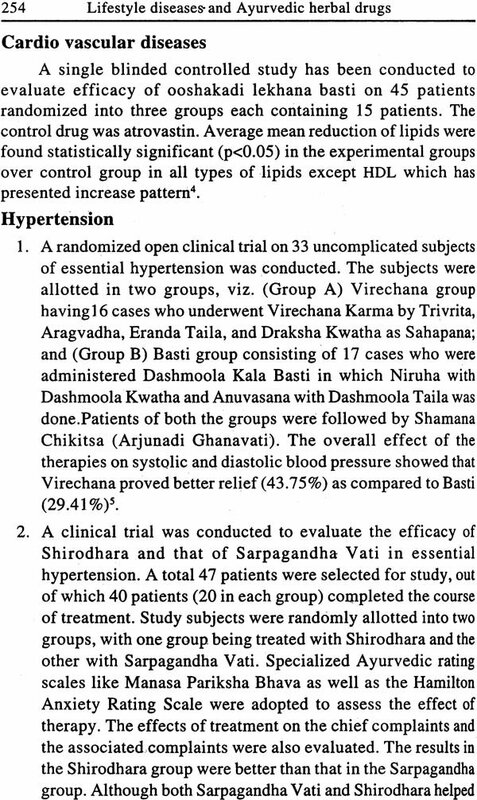 Prof. K. Nishteswar, currently working as professor & HOD, Dravyaguna at I.P.G.T. & R.A., Gujarat Ayurved University, Jamnagar. He has obtained B.A.M.S. Degree (1976) from Andhra University, M.D. 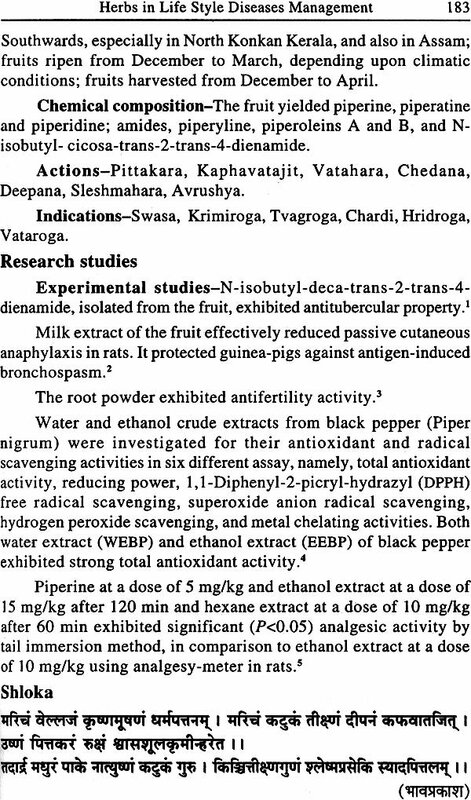 (1980) from Gujarat Ayurved University and Ph.D. (1997) from University of Pune. He also completed Sanskrit Bhashakovida (1975) from Bharatiya Vidya Bhavan and Diploma in AIDS (2004) from IGNOU. He received State Best Teacher Award from Govt. of Andhra Pradesh during 2001. He was awarded several Gold and silver medals in recognition of his meritorious achievements and theses on various topics like Diabetes, Hypertension and Cardiovascular disorders. He delivered Keynote addresses and Guest lectures in several National and International Seminars (South Korea & Sri Lanka).So far he has written 50 books in Telugu, English and in Hindi languages on various subjects of Ayurveda and published approximately 165 papers in various standard journals. 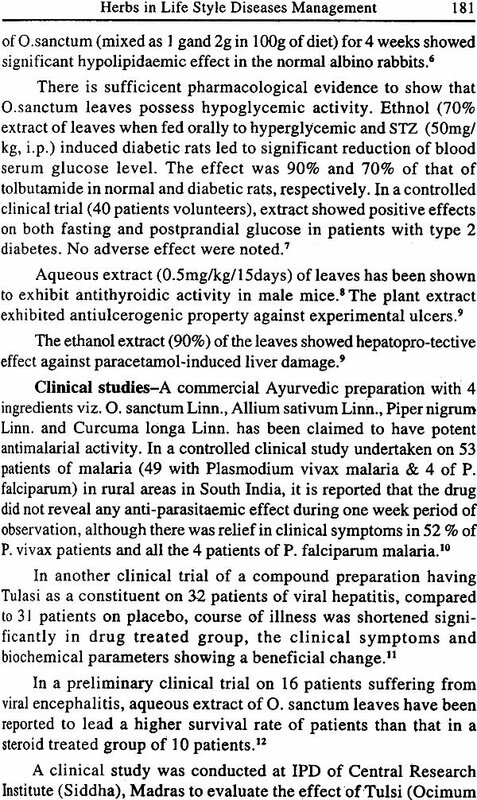 He has guided 15 Ph.D., 8 M.D., 5 M. Pharma, 4 M.Sc. 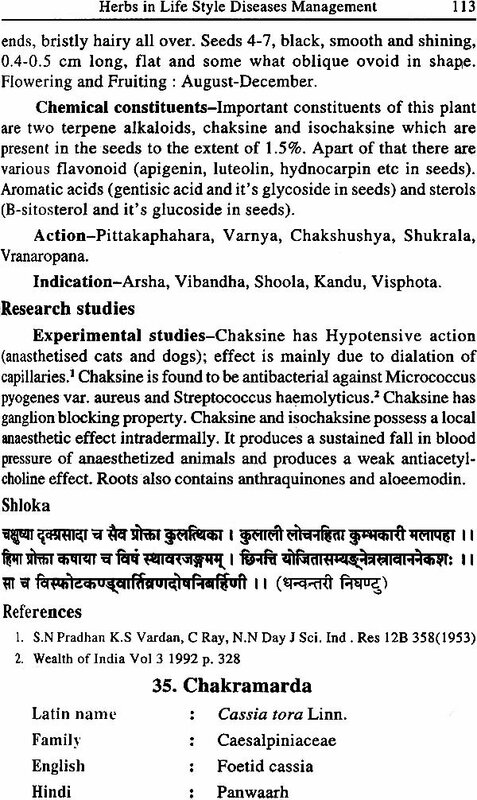 (Medicinal plants) and M. Phil students of Dr. N.T.R. University of health Sciences, A.P., Nagarjuna University, A.P. and Gujarat Ayurved University, Jamnagar. Ayurveda, the science of longevity (life) was promuligated with a view to eradicate diseases which are stumbling blocks in the attainment of Dharma (Discharge of duty), Artha (acquirement of health), kama (gratification of desire) and moksha (Emancipation). The science is designated as Ayurveda which discusses about happy and unhappy states of life, good and bad for life and measurement of life (longevity). As a matter of fact, the manifestation of diseases is synchronous with the impediments to the objects (chaturvidha purusarthas) of human life. Life without happiness is not worth living. Ayushyam (longevity) is nothing except the combination of the body sense organs, mind and the soul. According to charaka life stands for continuity of consciousness. No gift can surpass the gift of life. Since the implementation of lifestyles suggested in ayurveda act as life giver, ayurveda is considered as sacred par excellence. Satwa (mind), atma (soul) and sareera (Body) are like a tripod and entirely worldly life depends on the proper combination of these three. The body and mind contribute the substrata of diseases and happiness. Soul acts as on observer. Pathogenic factors in the body are vayu (biohumor which reflects neuro physiological functions), pitta (substance which encompasses the functions of metabolism through hormones, and enzymes) and kapha (Biohumor representing ground tissue of a cell and contributes for immunity and physical endurance) and Rajas and Tamas of the mind. Vata occupies the most prominent place among the pathogenic factors of the body. Pitta comes second in order of importance, because of its being the important factor of digestion and metabolism as well as the relative acuteness of diseases caused by it, it is certainly more important than kapha. All these factors have their action in the body both jointly or severally. Sushruta has treated Rakta as one of the pathogenic factors and postulated fourfold classification of pathogenic factors since it plays an important role in pathogenesis of certain conditions like abscess, ulcers etc. Satwa, Rajas and Tamas are the factors of mind. 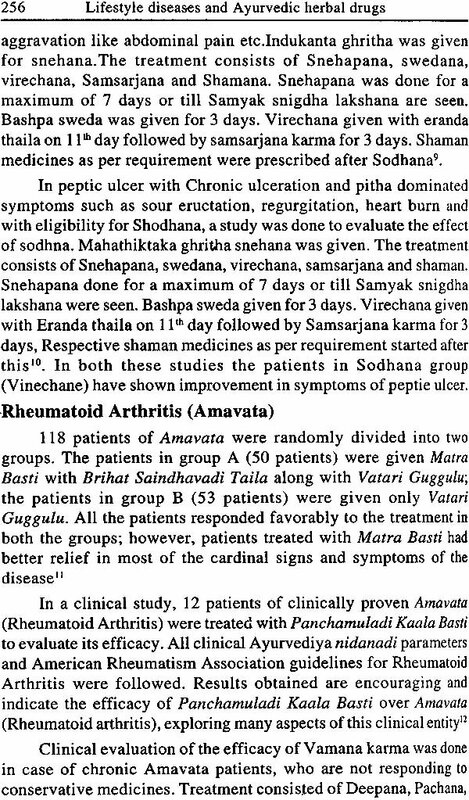 Among them Rajas & tamas cause vitiation of mind leading to psychological conditions Dhatu (tissue), Agni (Biochemical metabolic substance), mala (metabolites/excreta) and srotas (vessels/channels) play a major role in health and disease. 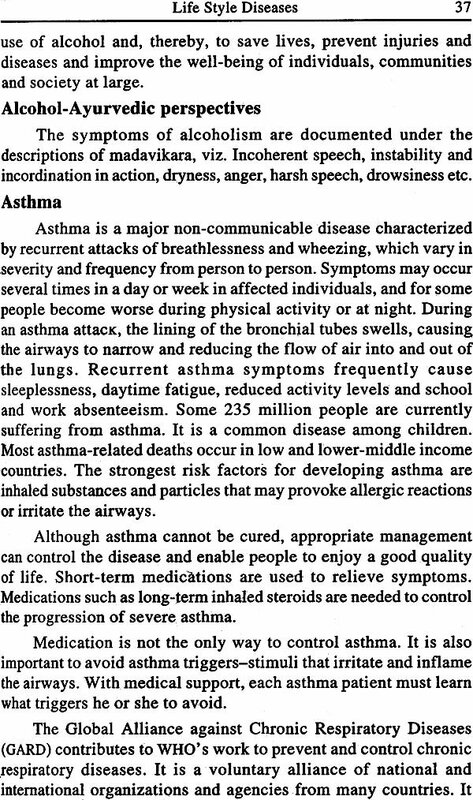 Ayurveda identified that the body as well as diseases are engendered due to Ahara. The causes of diseases relating to both mind & body are three fold-wrong utilization (mithya samyoga), non-utilisation (hinayoga and excessive utilization (atiyoga) of time (kala i.e seasons), mental faculties (buddhi) and objects of sense organs (indriyartha). 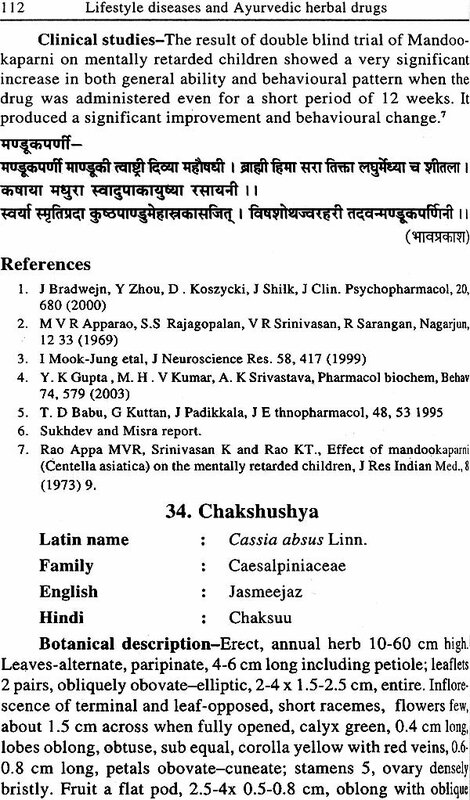 Pathogenic factors related to body are antagonized by administration of medicines (oushadh) and religious rites (daivavyapasraya measures), and the causative factors of mental disturbances by spiritual (Jnana), scriptural knowledge (vijnana), patience (Dhairya), memory (Smriti) and meditation (Samadhi). Diets and drugs are categorized into three categories i.e those alleviate vitiated doshas, those vitiate dhatus (etiological factors) and those help to maintain the positive health (swasthavrittakara). The prescriptions of the science of medicine are intended for cure of diseases or the maintenance of positive health. Any disturbance in the equilibrium of dosha/dhatus is known as disease and on the other hand the state of their equilibrium is health. Health and disease are also defined as pleasure and pain respectively. Food (ahara), sleep (Nidra) and celibacy (Brahmacharya) are considered as three supports referred as "Triupasthamba" (three subposts which are related to life styles of the individuals. Mind plays a major role in all these supportive factors in maintaining the health. Negative influences of mind like anger, jealousy etc., disturb the digestion and similarly mind influcences the sleep cycles as well as level of libido. Thinking constitute the object of mind. Right way of thinking in choosing food, discipline with regard to sleepand celibacy not only imparts good health and prevention of disease but also helps in control of several lifestyle diseases. 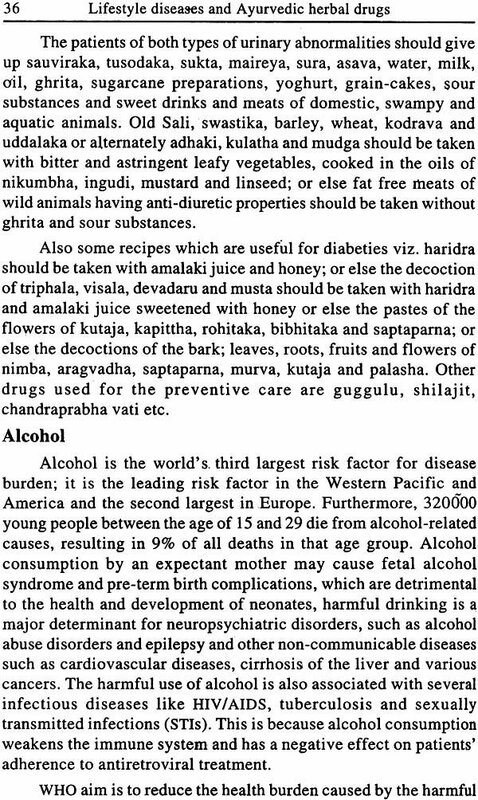 A critical analysis of etilogical principles of all the diseases clearly indicate that ayurveda advocates change in life styles as a part of management of every diseases. In a nutshell Ayurveda considered that every disease falls under the category of lifestyle diseases. Lifestyle diseases include hypertension, diabities, obesity, heart diseases, asthma, cancer, HIV, epilepsy, arthritis, alcoholism etc. 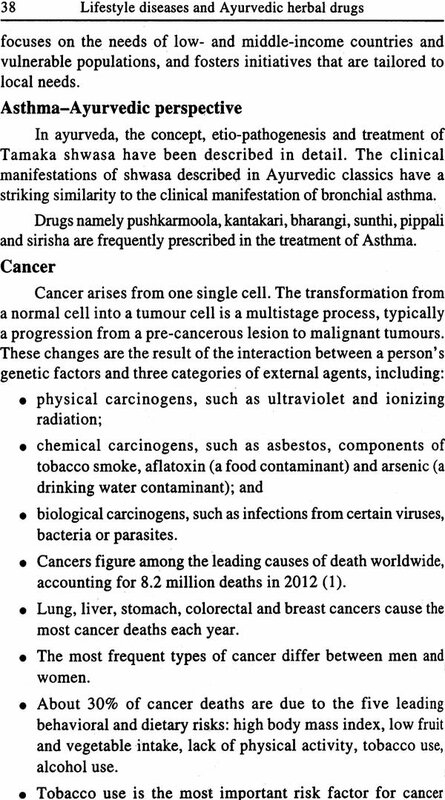 which are also designated as non-communicable diseases. 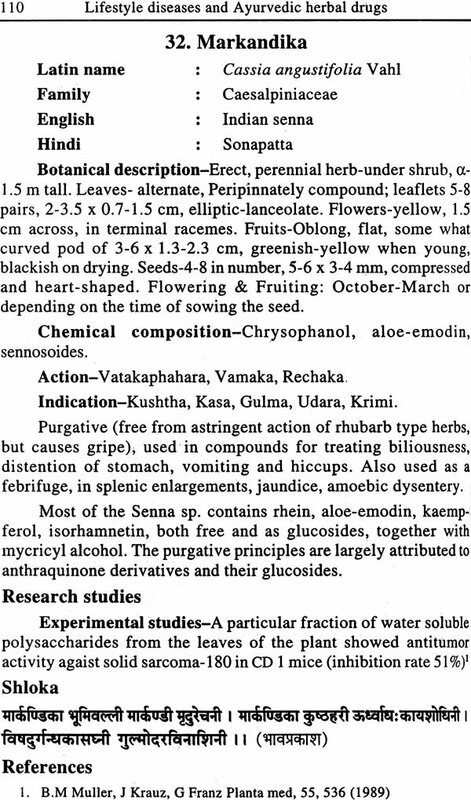 By taking into consideration of life styles diseases enumerated in modern medicine, an attempt was made to compile the research studies of different medicinal plants described in ayurvedic materia medica. The information provided in this book may help the pharmacy personnel and practicing physicians to design the formulations for controlling the lifestyle diseases. 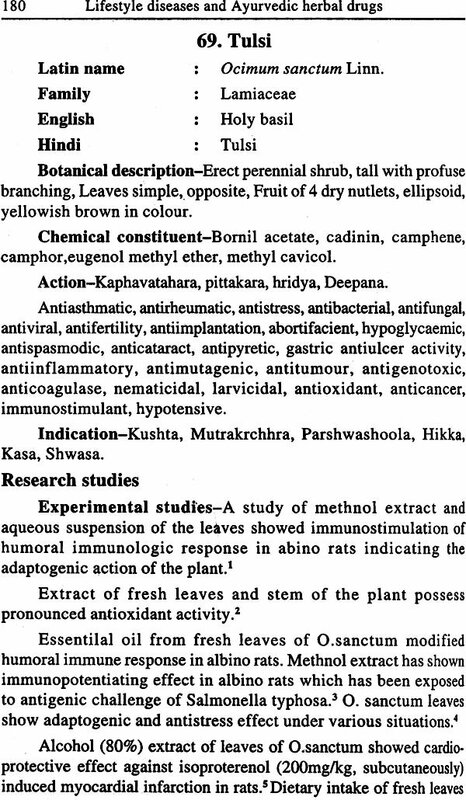 In the annexure, a list of Herbs with reported activities, glossary of technical terms and coloured photos of important medicinal plants are provided. 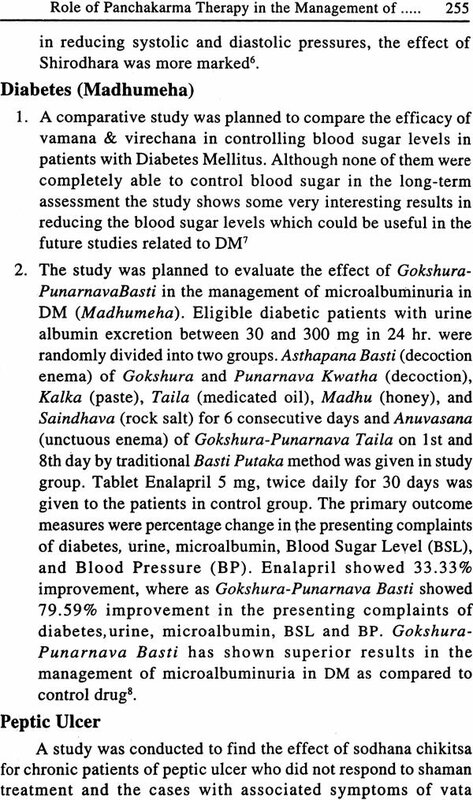 I acknowledge the help extended by my students Mr. Brijesh Notani, Dr. Swagata Tavhare & Dr. Vidhya Unnikrishnan in the preparation of manuscript .